Happy Museum Monday everyone! We’re back this week with another great museum from our trip to Japan to share with you. 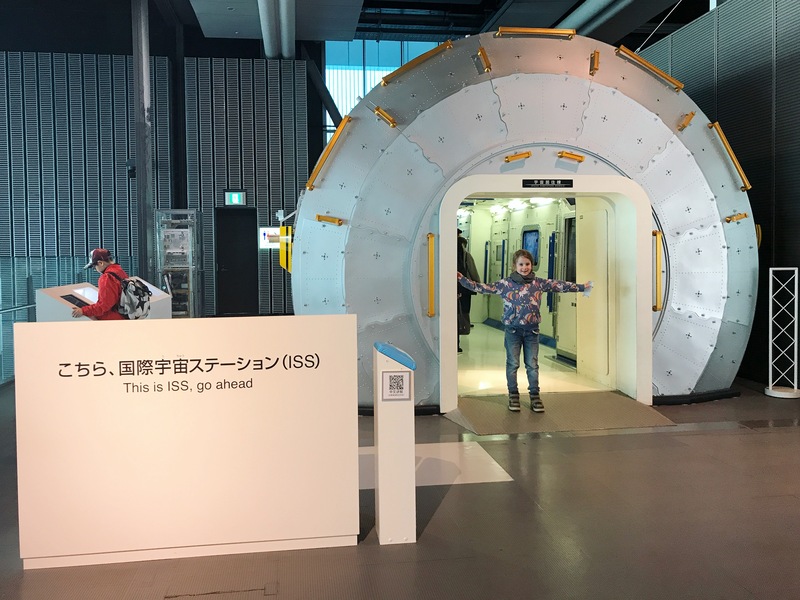 When asked what he would like to see or do on our trip, Oskar (my 8 year old) said that the one thing he most wanted to see was robots. 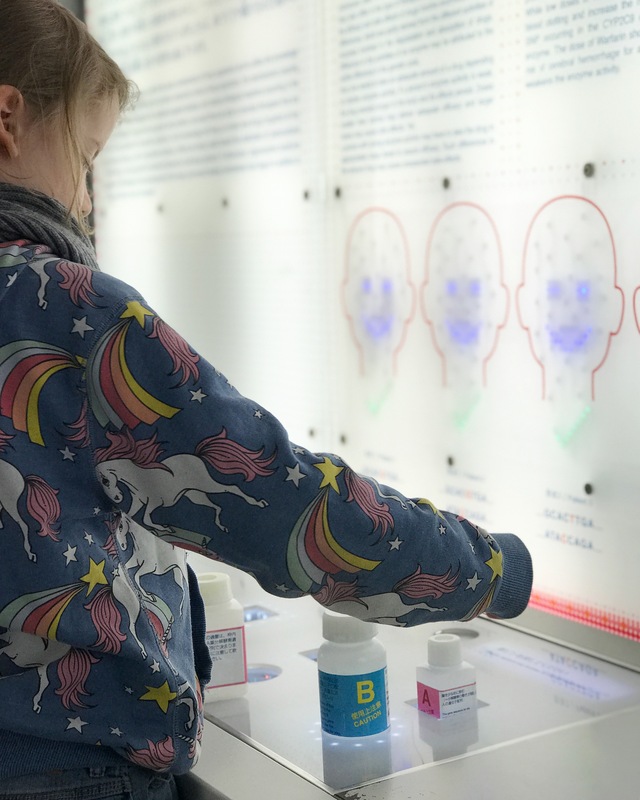 Tokyo has many great science museums to choose from, so we did a little research to see which one would be best for little robot fans, and Miraikan came up trumps. 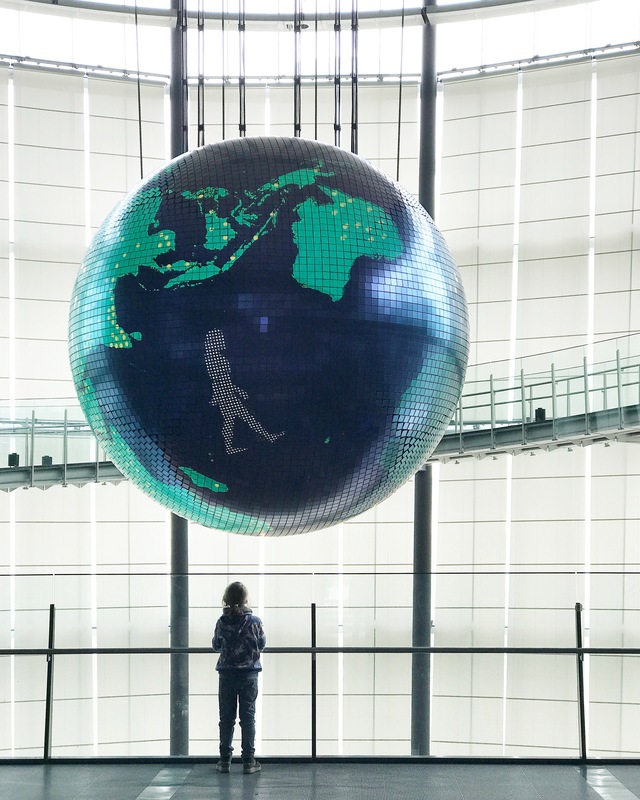 Miraikan – or the National Museum of Emerging Science and Innovation – is located on Odaiba, a high-tech entertainment hub on an artificial island in Tokyo Bay. We travelled there via the Rainbow Bridge on the driver-less Yurikamome train. The whole experience seemed quite futuristic. 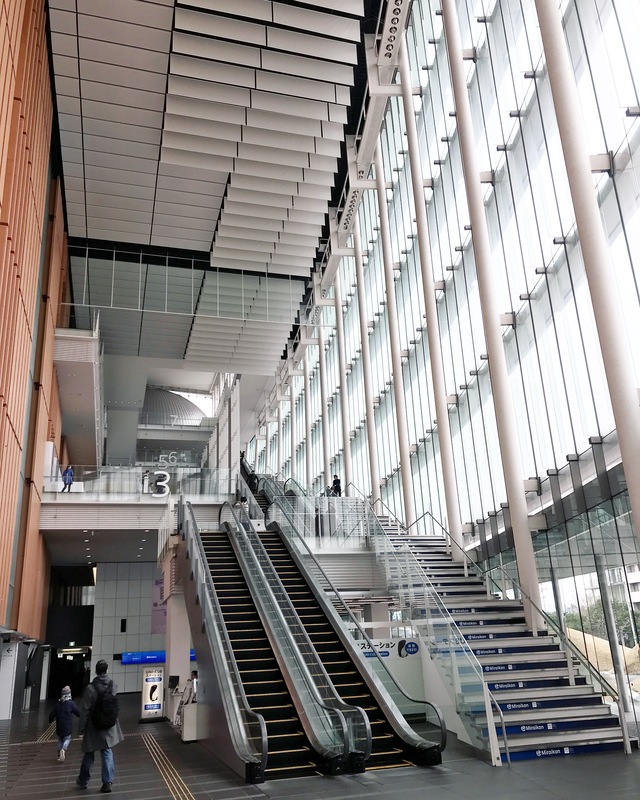 The Miraikan building is huge, though the permanent exhibition is set across two floors, plus there’s also a zone for temporary special exhibitions, a shop, cafe, restaurant, and viewing lounge. There is also a theatre, but this was closed for refurbishment during our visit. 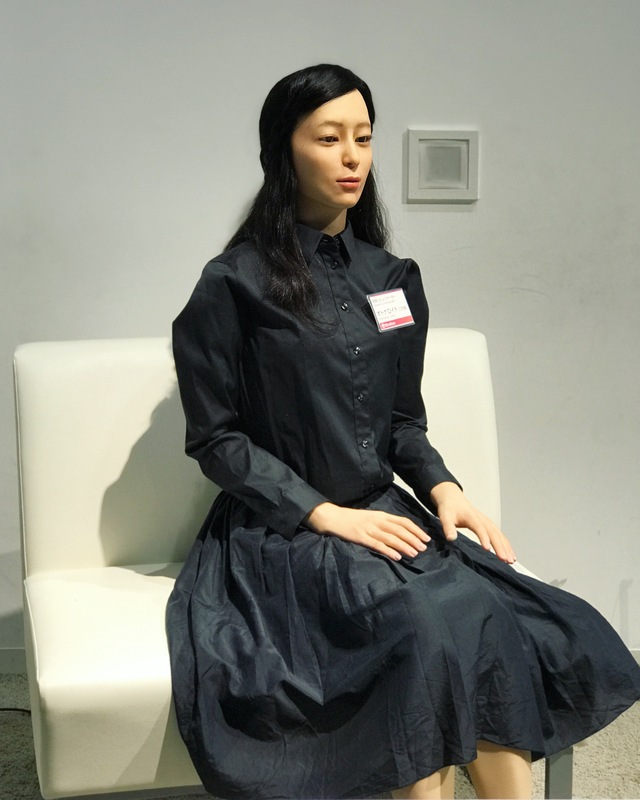 When we arrived, we headed straight for the robots section for the demonstration of Asimo (short for Advanced Step in Innovative Mobility) – a humanoid robot created by Honda in 2000. 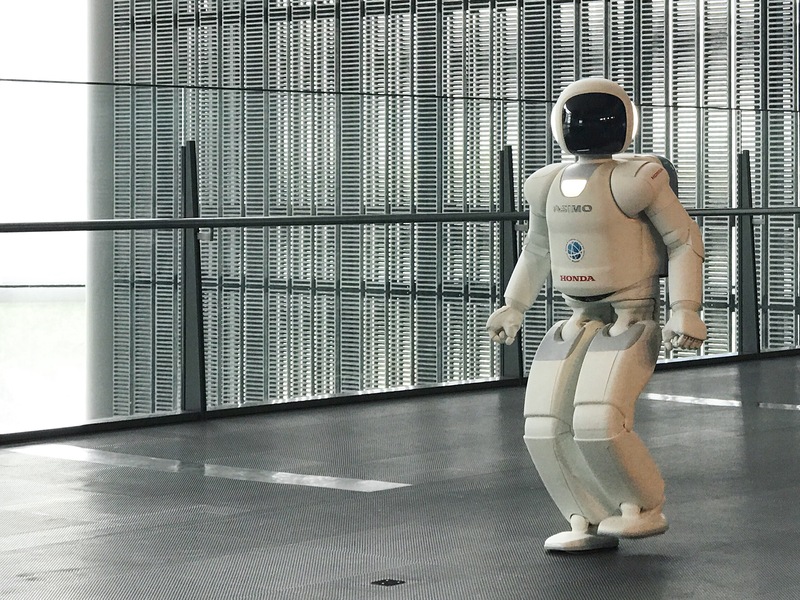 Asimo can walk, talk, run, hop, kick a football, sing, and do sign language. There are several demonstrations a day, every couple of hours, and we watched two of them. Seeing Asimo in action was definitely the highlight of the museum for both boys. 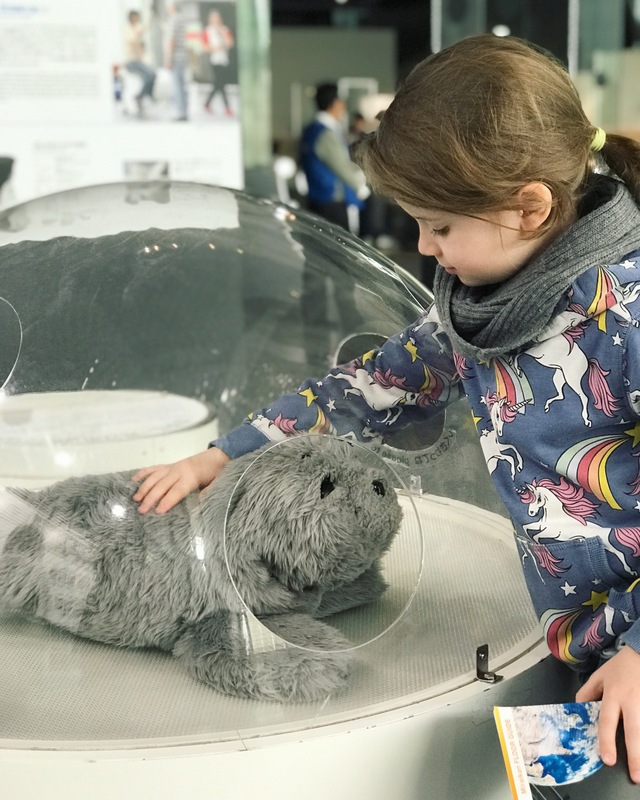 Also in the robots section, we saw an Android and its inner workings, and a robotic pet seal. 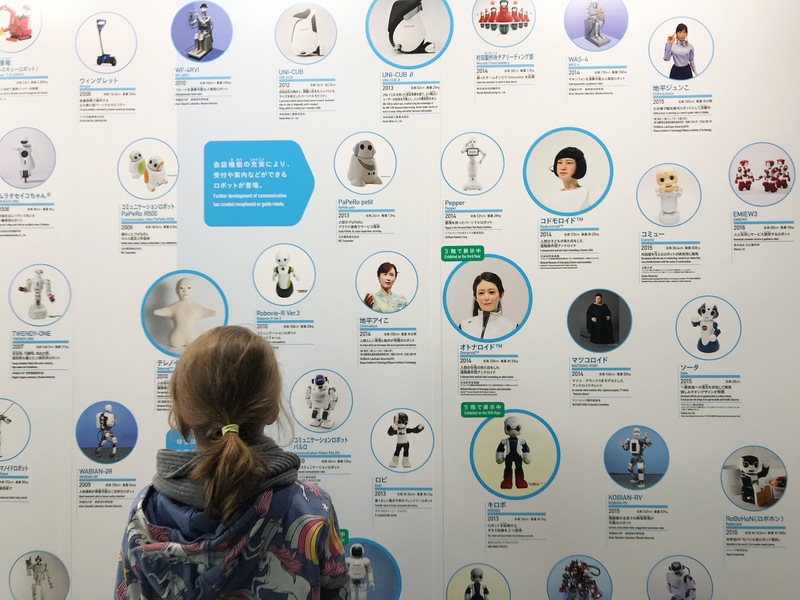 They also had a timeline showing all the significant robot developments over the past decades, and I was very impressed when Oskar pointed out all the robots that he had seen at the new robots exhibition at the National Museum of Scotland in January. I was glad to see so much of our previous visit had stuck with him. There were lots of other really cool interactive things to do. 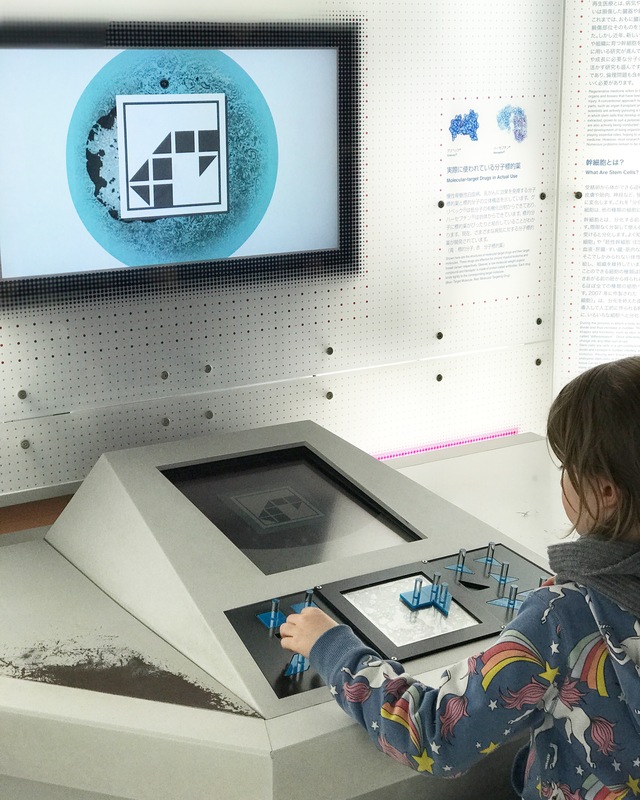 One was a gigantic hands-on model if the internet, which uses large black and white balls to visualise how information is sent around the internet. 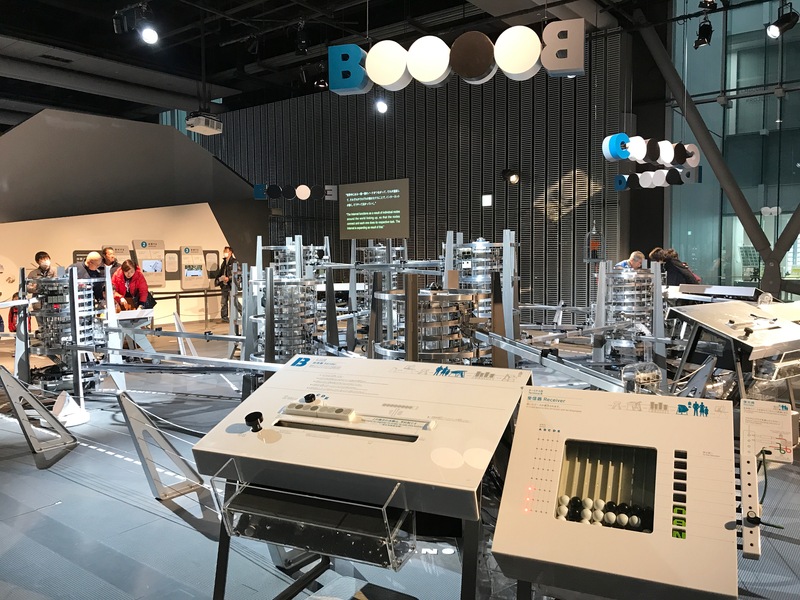 You can programme and send your message from one terminal to another, and then watch as the balls roll around the giant model to deliver your message. It’s quite loud, but the boys loved it. 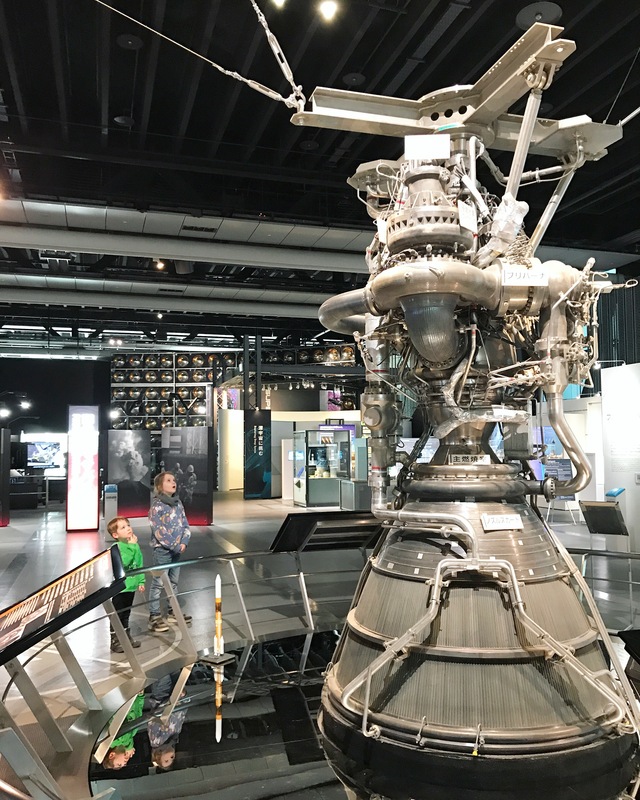 In other sections of the permanent exhibition you can explore a space station, watch a presentation on a giant globe, explore the science of medicine, walk through giant picture book to learn about communication, and lots, lots more. 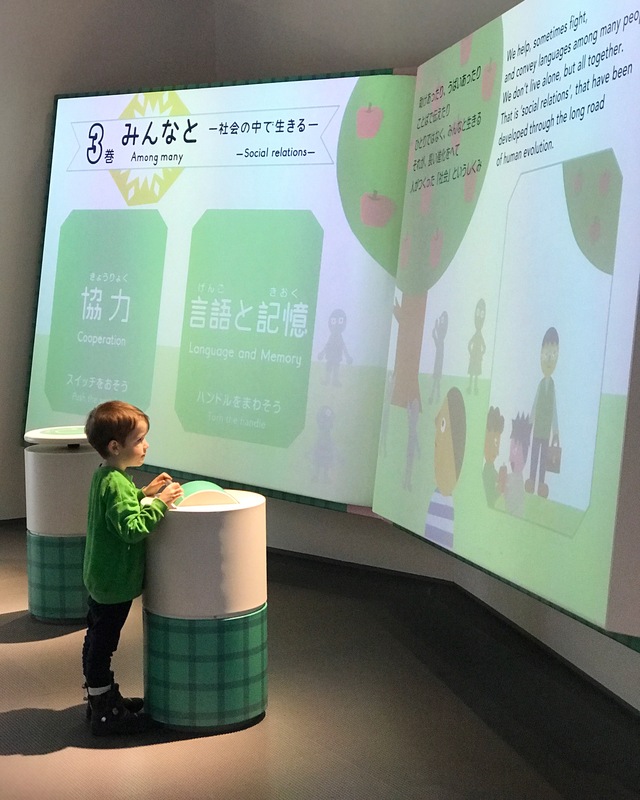 Miraikan is recommended for primary school age children and up, but as there are a lot of interactive exhibits and the robot demonstrations so younger kids can enjoy it too. Whilst my 4 year old maybe didn’t quite understand everything, he definitely enjoyed himself. Most of the exhibition interpretation is also available in English as well as Japanese, and the museum app, which is also available in English, has some suggested trails you can follow. Also, be sure to hold on to your tickets, as you will need to scan them to use some of the interactives. We arrived at the museum an hour after it opened, and stayed until we were thrown out at closing time (and that was without seeing the temporary exhibition, so we are glad we didn’t pay the extra price for that). 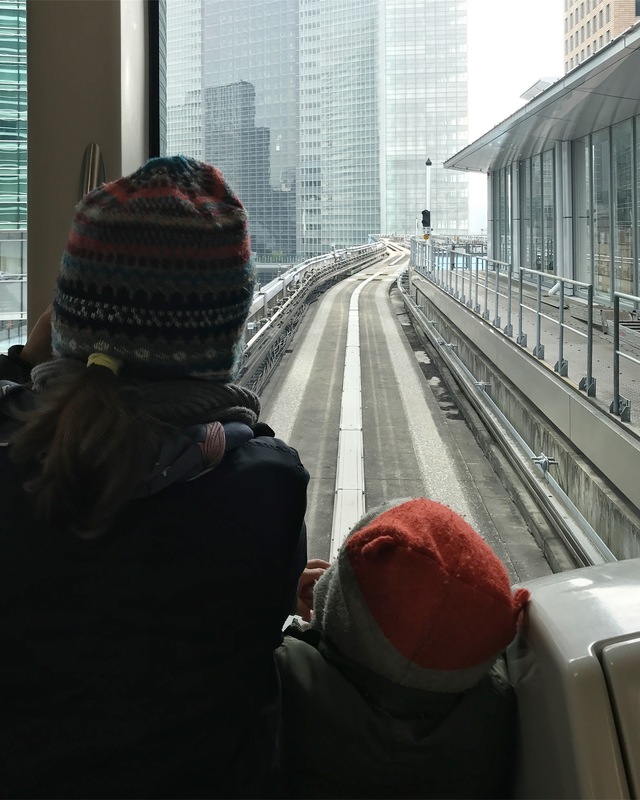 We were on Odaiba for a total of six hours, and most of that was spent at the museum! We took a break at lunch time for about a hour, and because the weather was quite nice we picked up some lunch from a nearby convenience store and sat outside on some park benches to eat it then went for a wander around the area. There is a cafe and restaurant in the museum too, but your ticket gets you in and out the museum all day so it’s good to have options depending on the weather. We are glad we took the chance to have a wander, as we discovered some more robots nearby. Outside the DiverCity Tokyo Plaza shopping mall, which is about a 5 minute walk from the museum, we discovered a gigantic Gundam statue standing over 19 metres tall (Gundam being a science fiction series featuring gigantic robots), and a not-quite-so-tall but still impressive Bumblebee state from the latest Transformers movie. I *think* the Bumblee one was just temporary, but the Gundam statue is a permanent feature. 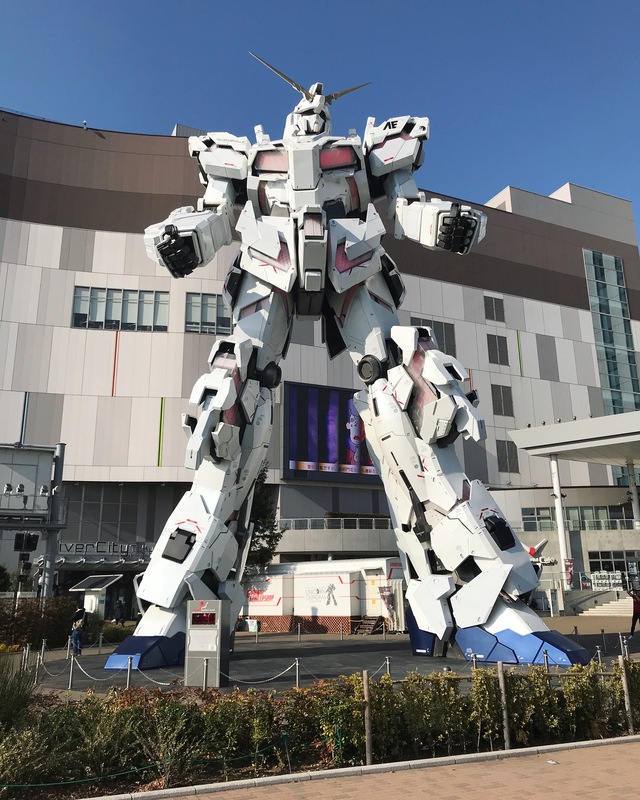 So all in all, Odaiba is the perfect place to take little robot fans if you are visiting Tokyo. 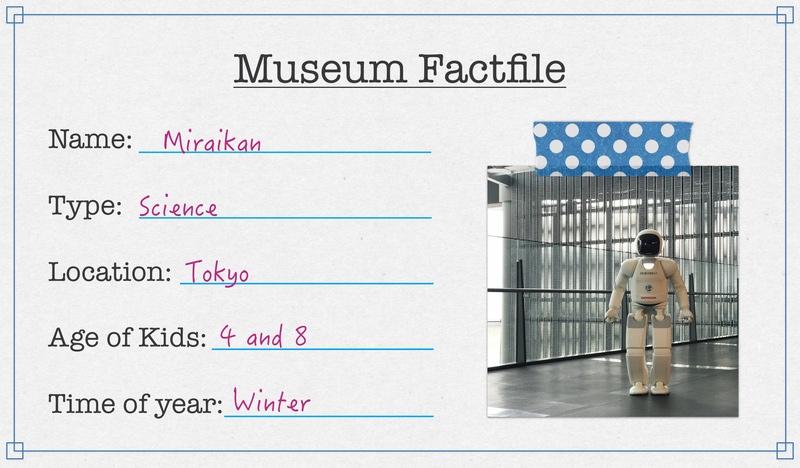 All information on museum opening times and admission prices can be found on the Miraikan website. I’m been obsessed with robots ever since I used to play with Lego Technic as a kid so I love all these sort of things! What an awesome way to get the kids interested in robotics. Asimo is so cool too! I’m an engineer so can’t wait until my little ones are old enough to enjoy these sorts of attractions. This is amazing, what an incredible place for children. I find robots fascinating but a little scary too! Wow! Asimo is so cool. My girls would completely love him. The museum looks like a lot of fun and educational. OMG I would LOVE to visit here! 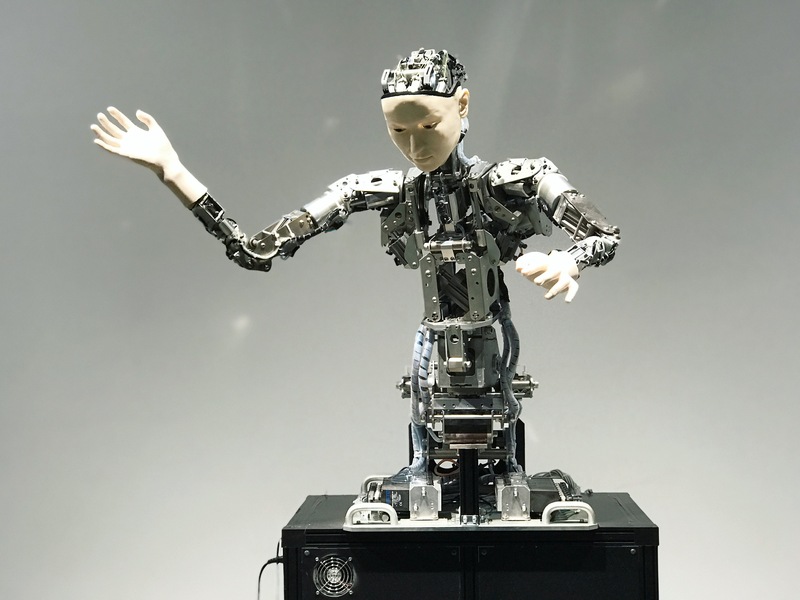 Japan is a place I really want to visit – because of the technology … and I love robots! This is a place my youngest would love to see. 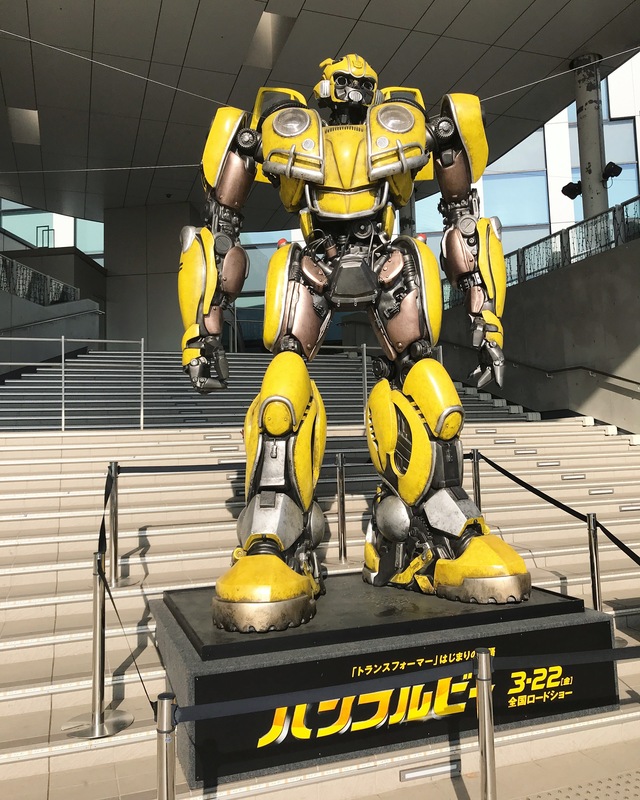 The robots are really cool and oh man, Bumblebee would have been awesome to see! This looks like absolute heaven for my two kids, and my boyfriend! Japan has some truly amazing things to offer and I bet you all had the best time there. Asimo looks kind of cute, too.